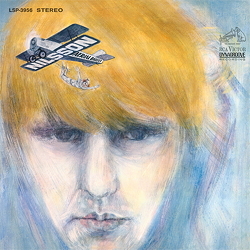 "Aerial Ballet" - Harry Nilsson (voc); Plas Johnson (ww); Dennis Budimir, Al Casey (g); Michael Melvoin (hpd, org, p); Larry Knechtel (b,p); Jim Gordon (dr); Milt Holland (perc); a.o. ﻿To define in a nutshell the music of Harry Nilsson in accordance with his personality can easily become a fiasco. The American singer-songwriter might well share his reputation as a multi-talented eccentric with a number of other musicians. However, his highly unusual style and his »satirical catchy pop songs [composed] with the sparkling eye of a cynic and the tearful eye of a nostalgic« (rororo Rock Lexicon) cannot be pigeonholed. Nilsson packaged derisive lines, spiced with a pinch of self-irony, in suspiciously pleasing yet carefully selected tunes. His cultivated and astonishingly supple voice basked to the full in bittersweet phrases, aided by elaborate, melting, slushy arrangements with strings and winds. Several of the wonderfully fresh numbers from "Aerial Ballet" reached top places in the charts. "Everybody’s Talkin’" became world-famous through its use in the film "Midnight Cowboy" and brought Nilsson his first Grammy award. The song "One" soared to the top ten of the charts. The other light and airy songs now invite you to create your very own hit list. Every single number makes great listening!